ON Media: Rich Heritage of Supporting the Valley’s Performing Arts – Artworks PHX – a business-arts campaign in Phoenix, Arizona USA. ON Media is committed to contributing to the health and vitality of our community. The arts, culture and leisure sectors are essential to our state’s ability to create an environment of innovation and sustainability. The arts are an economic asset that stimulates business activity, attracts tourism revenue, retains a high-quality work force and stabilizes property values. In partnership with a robust marketplace, each sector contributes to the competitive edge and cultural capital of Arizona. Year after year, we are proud to have stayed true to the company’s original goal: Provide publications at no charge to our arts and cultural partners, so they can devote their limited resources to fulfilling their artistic and educational missions. For more than four decades, we’ve offered full publishing support—including superior design, expert sales and marketing, and engaging editorial content. In fact, this strong reputation for excellence led us to become the official publisher for Arizona’s most prestigious arts and cultural organizations, partnering with 20 performing arts venues, publishing The Red Book and managing ads for the iconic Arizona Highways magazine. Our publications engage discerning readers and enhance their experience. They also optimize participation, drive interest and increase awareness of our arts partners and valued advertisers. Every publication presents an opportunity to connect brands with clients, nonprofits with donors and the arts with audiences. No matter where readers find an ON Media publication, they’re sure to enjoy the engaging experience. We actively support nonprofit organizations that work to improve our community’s quality of life. 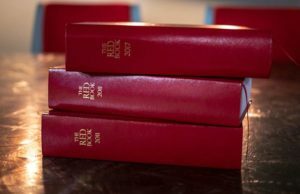 Additionally, our status as publisher of The Red Book allows us to broaden our reach and remain at the forefront of society, culture and luxury in Arizona. The “show would not go on” without the incredible support and dedication of those who champion the arts—behind the scenes, in the box office and in communities across Arizona. We are currently seeking nominations to help us honor these outstanding individuals. 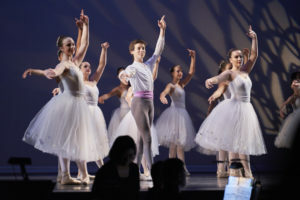 An Arts Hero will be selected monthly throughout the performing arts season and be featured in ON Media programs, which are seen by more than 3 million arts patrons in Arizona. This allows individuals to tell their incredible stories, so others can applaud their hard work in the arts. The Arts Hero program is made possible in part by the generous contributions of our sponsors. We are grateful for their continued support and patronage of the arts. In Arizona, schools increasingly do not have funds for educational arts field trips. This is especially the case for Title 1 schools in low-income communities. Each year, thanks to the generosity of donors across the state, Act One provides an opportunity for more than 40,000 children in lower-income schools to experience arts performances and exhibitions through field trips to professional theaters and museums. Founded in 2011 by Mac and Russ Perlich, Act One is governed by a board of directors and managed by a small professional staff. Act One’s programs have grown to provide access to the arts for more than 530,000 children and families in Arizona each year. Act One field trips provide students in grades K-12 who attend Title 1 Schools across the metropolitan Phoenix and Tucson areas to engage with the arts. Act One coordinates the details of the field trip such as scheduling, admission costs and transportation. Teaching materials are provided to further enhance the special opportunity to get students out of the classroom to experience the excitement of a live performance or the fun of exploring a museum. The Act One Culture Pass offers library card holders complimentary tickets or admission to participating cultural destinations. The pass is designed to bring the enrichment and education of performing and visual arts to families and individuals who would not be able to afford it otherwise. In the years since the pass was created, millions of passes have been checked out of local libraries and used by patrons to access the arts.